A San Francisco police officers wife, who was among the 58 people killed in the Las Vegas mass shooting Sunday, was being remembered Tuesday as a passionate, loving wife and mother and a talented horsewoman. Jean Elle reports. A San Francisco police officer's wife, who was among the 58 people killed in the Las Vegas mass shooting Sunday, was being remembered Tuesday as a passionate, loving wife and mother and a talented horsewoman. Stacee Etcheber, a stylist from Novato, had been missing since the shooting Sunday, when she and her husband, San Francisco police Officer Vinnie Etcheber, got separated in the chaos. On Tuesday, a frantic search for her ended, as she was confirmed as one of the fatalities in the mass shooting. "When the shooting occurred, it was all about helping other people," Stacee's brother-in-law, Al Etcheber, said. "So, when my brother went out to help other folks and put her into safety and told her to run out of there, she didn’t run out of there. She ran back to help other people as well." 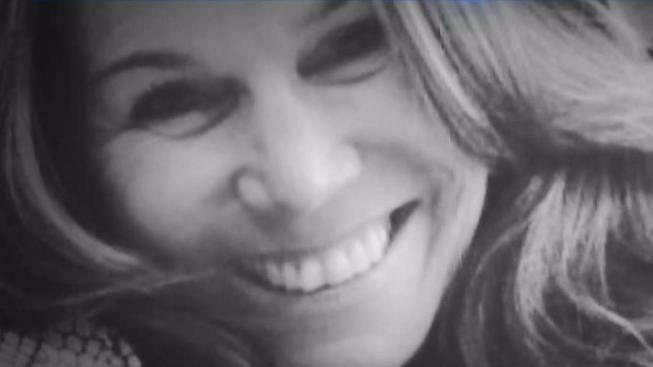 Stacee Etcheber was one of three Bay Area women killed in the mass shooting. A San Francisco police officer's wife, who was among the 59 people killed in the Las Vegas mass shooting Sunday, was being remembered Tuesday as a passionate, loving wife and mother and a talented horsewoman. Sam Brock reports. Family and friends were heartbroken when they heard the news of her death. They described Stacee as a person who "lights up a room." A candlelight vigil, including a San Francisco Police Department motorcade, was held Tuesday evening at San Ramon Elementary School as the news of her tragic death touched the entire community. "Stacee had a love for horses. She had a stall right down the block here. She shared her horses with her kids," Al Etcheber said. "She loved the outdoors. She was a vivacious, tough as nails person." Karen Hoeflein met Stacee more than a decade ago when the two crossed paths at the Novato Horsemen, a gathering place for the equine community in Novato. When they met, neither one of them had children. Now, both have families. "She’s just one of those people who lights up a room or an arena, however you want to look at it," Hoeflein said. "She just walks in, and she’s got her presence known. She’s just really sweet. "Especially as a parent, these kinds of things just hit you harder because you have your own kids," Hoeflein continued. "I can’t imagine something like that happening to your family." The San Francisco Police Officers Association has set up a GoFundMe campaign that had raised more than $97,000 as of Tuesday night. Flanked by members of the law enforcement community Tuesday morning, Al Etcheber had a message for Stacee's two children: "We love you very much. Your dad loves you very much. You’ve also got the support of the Police Officer’s Association and the San Francisco Police Department, the community around here." Al Etcheber left for Las Vegas immediately Monday morning to help his brother find Stacee. He said they "circled around" for her at hospitals until a sixth sense kicked in, and they checked the morgue. That's where they found her.